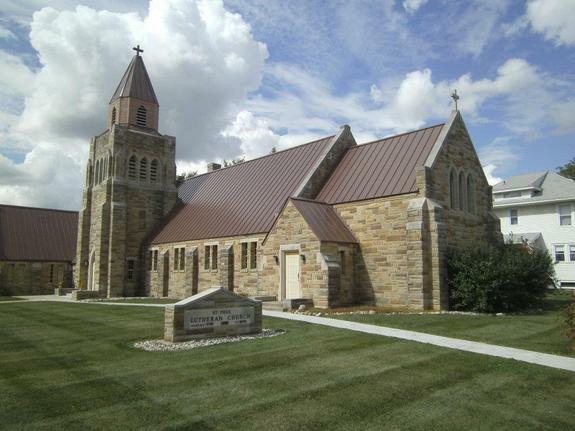 We are located in the town of FOWLER, MICHIGAN and are a member congregation of the LUTHERAN CHURCH-MISSOURI SYNOD. "God's Word Is Our Great Heritage!" Jesus calls us by name in Baptism. It is not that we are good enough, worthy enough, holy enough – it is that He is good, He is worthy, He is holy – and He so loves us that He gives all these good things to us by grace, through faith. How blessed we are to now be called children of God! Now, fellow soldiers in this earthly battle – do not hide yourself away in a fantasy world. Take up the task that the Lord gives you. Be armed with the sword of truth – the Word of God. Know and keep up with what is happening in the world. Do not be apathetic. Know what is happening in the news! Stay aware of the issues. Take a stand against evil. Pray for your Church. Pray for your nation. Pray for the world. And above all, place all your trust in Christ the Lord. He who died for you now calls you to follow Him, even though it means bearing the cross of suffering, even though it may mean persecution for the faith, but remember Romans 8:31 – “If God is for us, who can be against us.” AMEN!